The infrastructure has been aesthetically planned with well ventilated and cheerful bright classrooms. Every classroom is a workshop in itself and is well equipped with state of the art facilities, toys and teaching aids which entice the child enough to fall in love with their classrooms. Fewer students in a class means that each one gets attention from the facilitator, and they are encouraged to participate and articulate. This builds up the confidence of the child and enhances their learning experience. 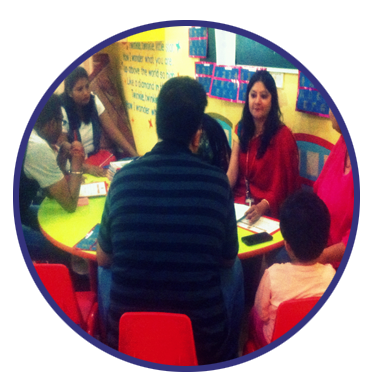 Hence the student teacher ratio is restricted to 1:12 and this in turn helps the teacher to read a child closely as the a unique case study and makes it easier for the teacher to connect with them. The security of your ward is our foremost concern and keeping in mind the fact we have taken measures to install cameras which gives live streaming of the activities to the parents through web. The school building is not accessible to visitors beyond the front office. When children are outdoors in the play area we ensure the strict supervision. Every child is signed in and out of the school with a digitally maintained check-in system called RFID. 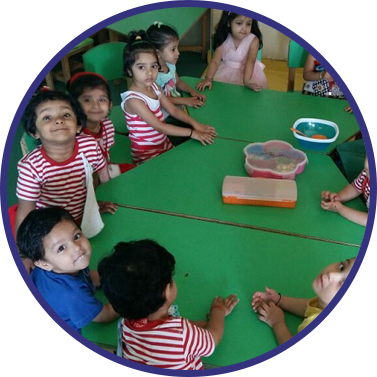 Facilitators at Brats n Cuties are aware of the well known fact that the ambit of education in early years is to identify and hone the skills and emphasis is laid on to develop their societal abilities, self-esteem, insight into the world and moral stance. Moreover, this is the best time when the cognitive skills are developed. Hence, this is this most crucial time when they require the best of the care and a nurturing role model, necessarily played by a preschool teacher. 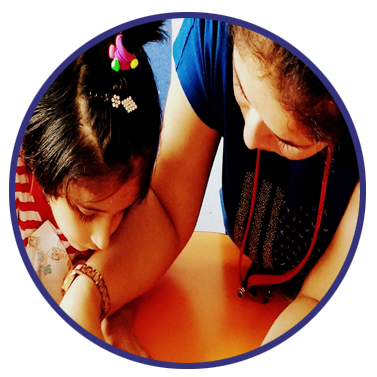 The bedrock of learning at Brats n Cuties is experiential learning amalgamated with contemporary Indian methodologies along with International Novo curriculum. We are constantly at work to create innovative tools, teaching aids and methodologies, which help in the optimum development of the child, however evolving with time and revamping our curriculum on regular basis has been and shall remain our USP. Our responsibility is to develop our children in such a way that ignites in them curiosity for learning. 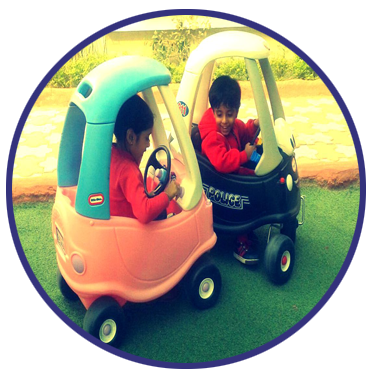 We constantly strive to provide a well-rounded child centric learning experience by focusing on their individual needs and providing a plethora of enriching activities to build emotional, social, cognitive and physical skills. These activities are conducted under supervision of a specialised trainer ensuring high end delivery. 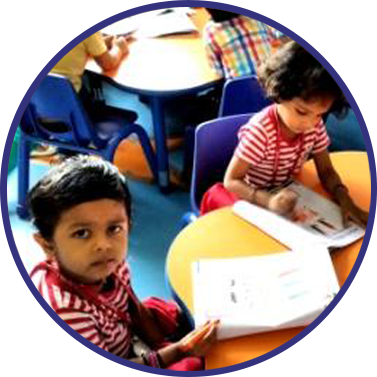 At Brats n Cuties, we understand its significance and endeavour to sculpt such corridors of open learning that nurtures each child with unwavering Indian values coalesced with an International outlook. The school was conceptualized in Nov 2006 & got into operations in July 2008 but for these eighteen months lot of hard work was put in by curriculum designers, child psychologists & top end educationists to develop a unique curriculum & implement it in our model school. We now have expanded to 20 branches PAN India. The management at Brats n Cuties is a heterogeneous mixture of educationist and visionaries. The group has been active in education industry since 1991 and the areas ventured in education segment are Pre-schools, K-12, schools and professional studies. The group is blessed to have the expert guidance from philanthropist par excellence Sh. Narendra Kumar, Ex-Chairperson Delhi Public School society and Dr. (Mrs.) Jyoti Sareen who is one of the most decorated Child Psychologists in India. One can say that the strong foundation at Brats n Cuties is responsible for well groomed portals who know how to deal with life at large. We are a specialist in pre- schooling, where physical, intellectual, emotional and social development of the child is given complete attention. The bedrock of learning at Brats n Cuties is experiential learning amalgamated with contemporary Indian methodologies along with International nuvo curriculum. We are constantly at work to create innovative tools, teaching aids and methodologies, which help in the optimum development of the child. Research work is done in house, putting together skillfully crafted books exclusively for our students supplemented by Themes and Projects to give them experiential learning experience. Brats n Cuties, the pioneer in structured nursery education, has a vast reservoir of experienced staff that has moulded thousands of little children in their formative years to successful portals. Our responsibility is to develop our children in such a way that ignites in them curiosity for learning, respect for the elders, compassion for the under privileged and concern for nature and wild life. We lay special emphasis on personality development through grooming sessions on social etiquette, table manners and English conversation. For this we have highly efficient staff members and visiting professionals who take care of the all round development of each child. Emphasis on moral and value based education backed by time tested techniques of meditation, relaxation, time management and yoga, nurture a strong character and balanced approach towards their development in them. Learning can happen only in an environment that is free from fear and stress. We balance academics with activities giving vent to their creativity and inquisitiveness making each child feel valued and learn while having fun. We constantly strive to provide a well-rounded child centric learning experience by focusing on their individual needs and providing a plethora of enriching activities to build emotional, social, cognitive and physical skills. The school was conceptualized in Nov 2006 & got into operations in June 2008 but for these eighteen months lot of hard work was put in by curriculum designers, child psychologists & top end educationists to develop a unique curriculum & implement it in our model school. We now have expanded to 20 branches PAN India.